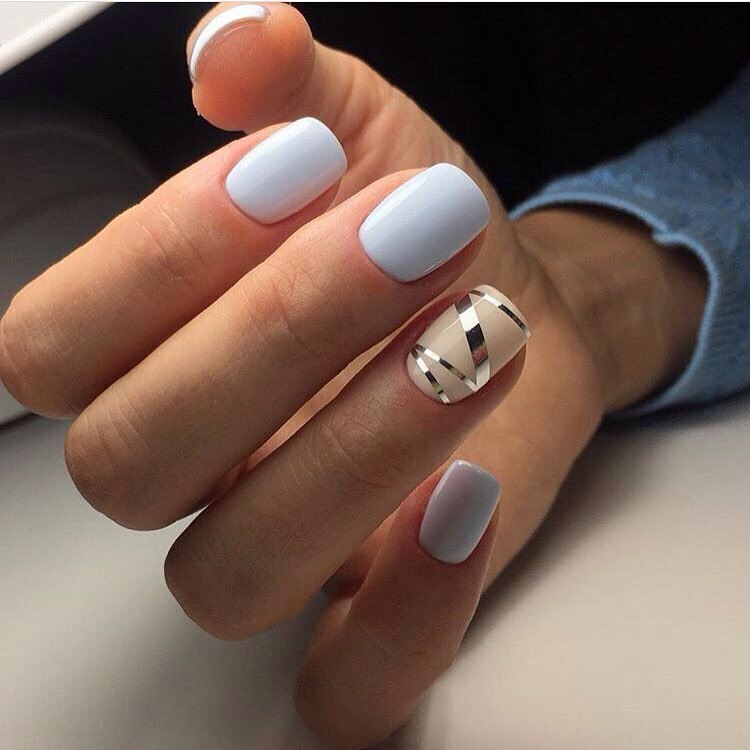 This is very beautiful and convenient to have a white color of nail polish on your nails. This range of colors perfectly matches both jeans and an evening dress. One-colored coat of nail polish is the indispensable classics which we can mix with a geometrical abstraction. With a sticky tape and a beige color your nails will look attractive like on holiday.